← Del Monte Southwestern Tomato Kick-Off Sweepstakes..and a GIVEAWAY! I know everyone has their standard game day favorites…well, this dish is something you might want to eat today, the day after game day, to lighten things up a bit. Jessie from Vanderbilt Wife was my Secret Recipe Club assignment this month, and I was quite pleased with this dish. 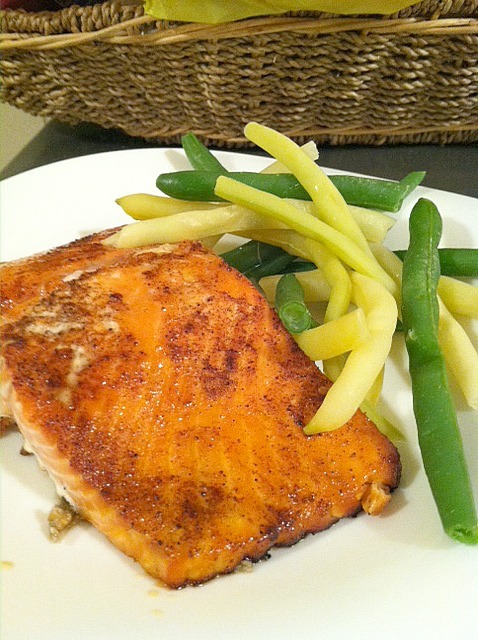 I always love quick and easy ways to prepare salmon, since we eat it pretty often in our house. This dish took, oh, less than 20 minutes to make. Can’t beat that! 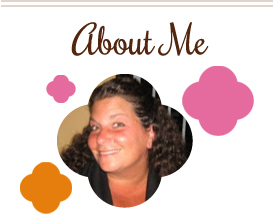 Thanks for a great dish, Jessie! Preheat oven to 500 degrees. Place salmon on baking sheet lined with foil. Mix 1 teaspoon lime zest, 1 tablespoon lime juice, chili powder and salt in a small bowl. Rub into salmon. Put honey in microwave for 15 seconds and drizzle over salmon. Bake for 12 minutes. 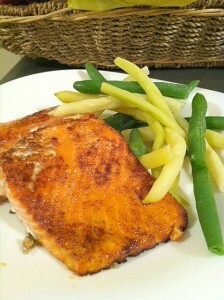 This entry was posted in main dishes, QuickAndEasy, salmon, seafood, Secret Recipe Club. Bookmark the permalink.